The team of Austin and O'Brien, with Bobby Cottrell at the wheel, is a powerhouse in the Nostalgia drag racing scene. Their 2018 season has been one for the record books and if all goes to plan, two championships will soon be theirs. You may recall when we sat down with the Austin team last year, not long after they’d won five races in a row and set a record for the quickest run in NHRA Heritage Series’ history with a 5.52-second pass, along with another record for the fastest run in the series at 263 mph. After some initial teething issues, 2017 proved to be one hell of a ride for the team and driver Bobby Cottrell, who had joined the team that year and inherited some big shoes to fill. The 2018 season picked up where last season left off. 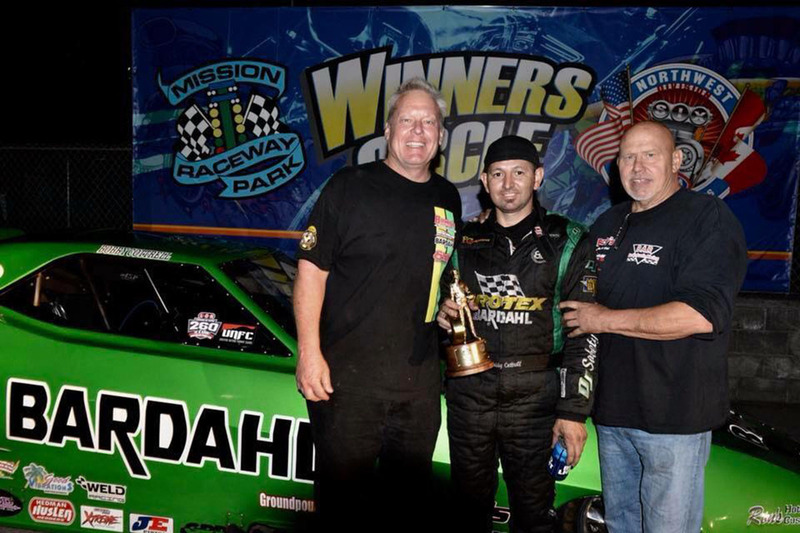 Here they’re celebrating their third win in a row in the NHRA Heritage series after taking the victory at Mission Raceway. From the looks of things, he’s doing a fine job of that, as 2018 is shaping up to be another legendary season for the storied team. We recently caught up with Bobby to find out what they’ve been up to this year. “There’s five races total in the United Nitro Funny Car series each season, and this year we won four of them,” Cottrell tells us. “We hunkered down and did our homework to prep for this season, and it ended up going our way. The competition’s been so tight in UNFC – especially the last few races. 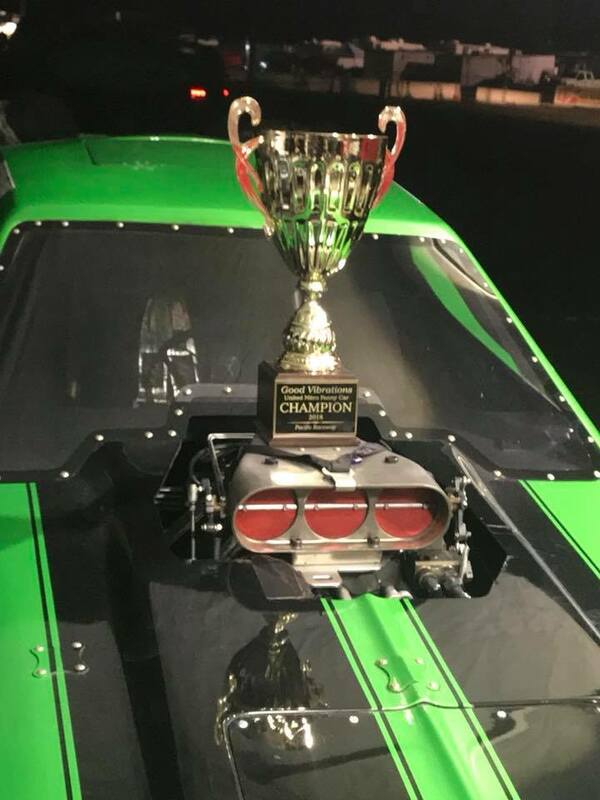 We didn’t get anything given to us, that’s for sure.” The team took home the title in the inaugural season of the United Nitro Funny Cars Championship series after securing their fourth victory at Spokane County Raceway last month. Cottrell tells us that winning the March Meet event earlier this year has been one of the highlights of his racing career. But that wasn’t the only title the team has been chasing this year. The UNFC uses a rule set that’s essentially identical to the NHRA’s Heritage series, where the team and their 4,000 horsepower, Brad Anderson Hemi-powered ’69 Camaro nitro funny car dubbed the “Northwest Hitter” have been making waves as well. “Our first race was the March Meet,” Cottrell explained. “We qualified in the top spot and won the whole event. I’d never won a March Meet before – that was probably one of the biggest wins of my life.” The team also won the next race in Salt Lake City before setting their sights on the Mission Raceway event in British Columbia. They won that one, too. 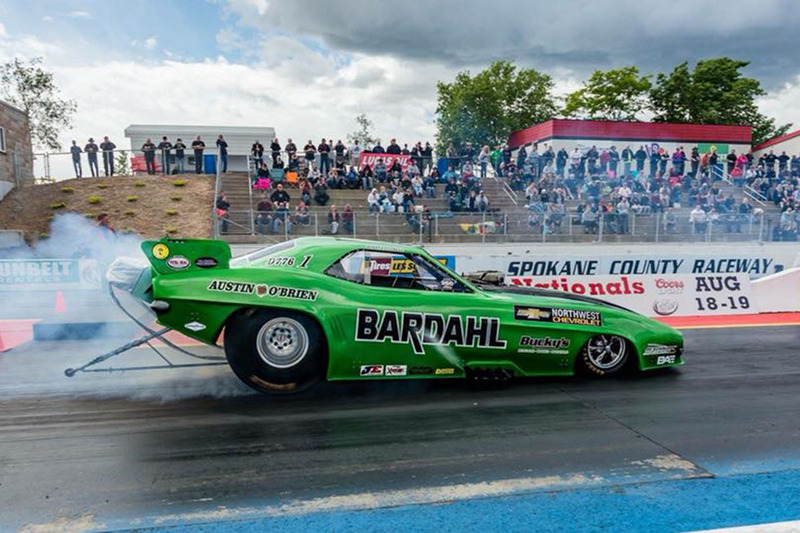 While the final round of the NHRA series is still to come, the team already has another championship under their belt this year after taking home the title in the United Nitro Funny Car series in August with a win at the Spokane event. 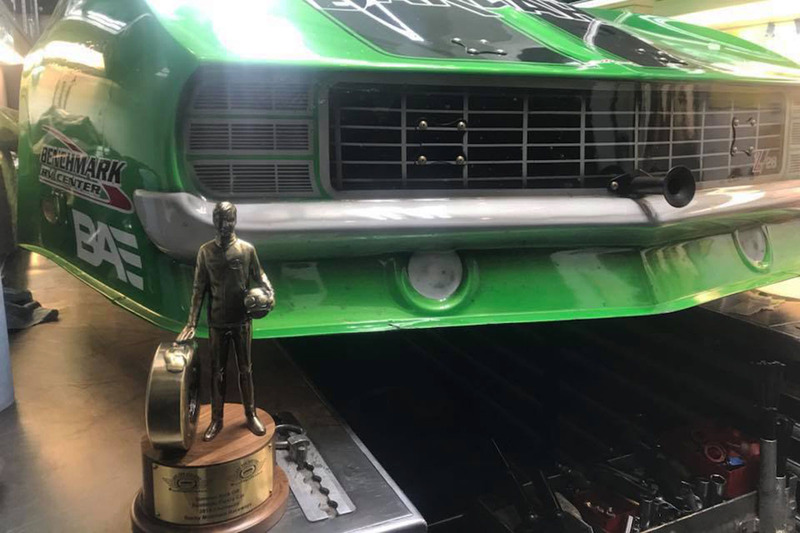 The last race of the season for the NHRA Heritage series is in October at the California Hot Rod Reunion event at Auto Club Famoso Raceway in McFarland, California, where they’ll be gunning for that championship win as well. “We’ve won the majority of the races this season so that puts us in a pretty good place going into that event,” Cottrell notes. If the team qualifies at the race they’re assured the championship based on points, which would give them a second title for the year. 2017 was Cottrell’s first season behind the wheel of a Funny Car. It took him a second to get acclimated – he took a loss in the first round of his first race, then an exhaust lifter broke on the first pass during qualifying at the next race. But on the very next pass Cottrell set a record for quickest ET in NHRA Heritage series history with a 5.52 at 261.02 mph, and the team has been on a roll ever since.